Welcome to the latest episode of Linux in the Ham Shack. 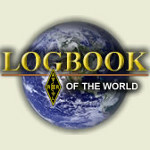 In this episode, the hosts take a deep dive into the ARRL application Logbook of the World. It's a logging application with two components: the online database and statistical analysis tools at the ARRL site and the TrustedQSL cross-platform application for managing certificates, encrypting and uploading QSO data and more. LHS takes a look at all of its features, caveats, uses and more. Thank you for listening.